Learning to repair appliances can be a crucial differentiator in a difficult economy. Whether you are looking to diversify your existing skill set or entering a new field altogether, you need effective training that can help you start on the right foot as a qualified professional. But how do you get started? What do you need to know about the various courses available to you, as well as financing and housing options available? The more information you have available from the start of your journey, the better. So without further ado, here is everything you need to know when looking to learn appliance repair. 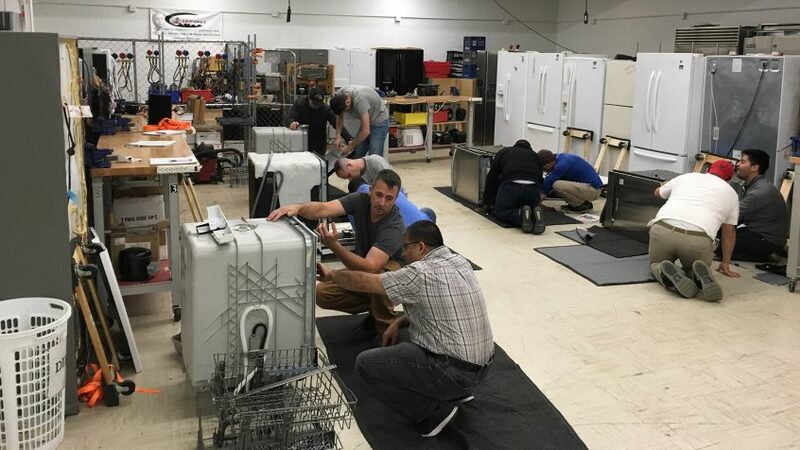 When it comes to appliance repair, hands-on training is absolutely crucial. Put simply, you will not get far in the profession only knowing the various ways in which brands of refrigerators, washers, and driers work theoretically. If you have not had the chance of actually working on them as part of your training, you might as well start over. That’s why your first step should always be to look for training courses that focus on hands-on education. The more applicable your time spent in training will be, the easier it will be to get started as a repair professional in this competitive industry. 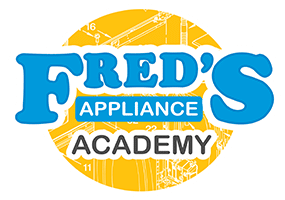 A one-week washer and dryer repair course that focuses on teaching repair and diagnostic of both top-load and front-load washers, as well as gas and electric dryers for all major brands. A one-week refrigerator and sealed-system course which will teach theory, diagnostics, and repair of sealed systems, defrost systems, and ice makers. A three-week basic appliance repair course that builds the foundation for a career in the field. The course will cover appliance electrical theory, refrigeration, electrical and gas ranges, dishwashers, washers and dryers, and microwaves. In addition to hands-on training, you will also learn vital ‘soft skills’ in order to work well with future customers. The first two options are best to diversify your existing appliance repair skill set, while the latter helps get you started in the field. Crucially, housing is included in the prices above. 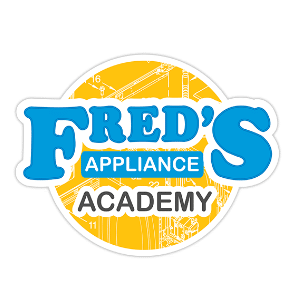 As a student at Fred’s Appliance Academy, you will get a spot in an apartment that is within walking distance of the Academy. In other words, you do not have to be a local student in Cleveland in order to take advantage of this education. Whether you use our training to start your own appliance repair business or to improve your chances of employment, the courses will help you get started. As part of our three-week course, you will have the opportunity to earn two nationally recognized certifications, positioning yourself as a qualified professional in the eyes of both employers and customers. Since our founding, we have had the opportunity to train more than 800 students from across the United States and even internationally. If you are looking to learn appliance repair, visit our website or contact us to learn more about the options available to you.